Aslam (34), from Walsall, in the West Midlands, met Lorna Moore at Manchester Metropolitan University in 2000. She converted to Islam to marry Aslam three years later. He was believed to be head of a Walsall network of Isil sympathisers. He left his wife and children in August 2014 and the last reports, prior to Lisa Smith's interview, placed him in Syria. 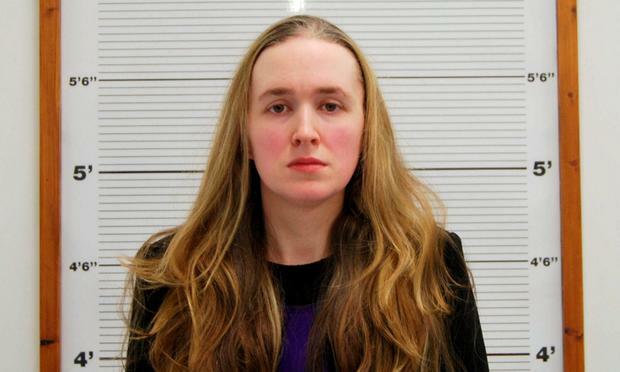 Meanwhile, in May 2016, Moore, from Omagh, Co Tyrone, was jailed for two-and-a-half years at the Old Bailey in London, for planning to take her children to Syria to join her husband. Moore, who had been brought up as a member of Mountjoy Presbyterian Church, 8km from Omagh, failed to reveal to the British authorities that Aslam had travelled to Syria. And she concealed plans to take their three children, including an 11-month-old baby, to the war zone. The jury believed that Moore knew her husband was part of a network travelling to Syria, and British police suspected women were being lured to the Isil territory to have children. However, residents in Mountjoy who'd known Moore growing up, referred to her as a "quiet, decent wee girl". Some felt sympathy for her. On the day her husband travelled to Syria, the mother took her children to Butlin's holiday camp in Skegness. Aslam's friend Ayman Shaukat (28) was convicted of preparing terrorist acts by helping Aslam travel. Aslam later sent Shaukat a coded text of a link to the R&B song 'I Made It (Cash Money Heroes)', by Kevin Rudolf, when he arrived in Syria. And within months, Moore booked flights to Palma, Majorca, with intent to travel to the war zone. Her plan was given away by a text from another Isil fanatic's wife, in Turkey, who wrote: "See you there." The former teacher told the British authorities she would "never" put her children's lives at risk, stating: "They mean the world to me." She claimed her marriage was over after Aslam became abusive and that they'd continued to live together only for the sake of their children. Moore's father Noel claimed his daughter had been jailed wrongly, and that she hadn't known her husband had travelled. "It was a miscarriage of justice," he told the BBC. "It couldn't be anything else. My daughter didn't know where the man was going. I think the whole thing's rubbish. "Somebody's been accused of something they didn't do and getting two-and-a-half years jail for it. The court heard claims Aslam had told his family he was teaching in refugee camps in Turkey. But his sister, Sarwat, told jurors he was in touch during the trial saying he wanted to "start a dialogue with police about coming home". Lisa Smith said she since married Aslam and that he was the father to her daughter. She also claimed he had been killed in the past three months in Syria.